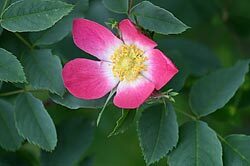 The Slovenian Rose Society is a voluntary, independent and non-profit association of modern, old and botanical roses lovers that was founded as a result of the members’ desire to develop the general culture and awareness of roses and related activities in Slovenia and in the surrounding area. The objectives of the association include protection of natural and cultural heritage, professional training and education, support for those planning horticultural activities, preparation of layouts as well as promotion and technical assistance in planning flowerbeds and rose gardens.The membership is open to anybody and the conditions are equal for all members. The Rights and Duties are further defined in the statute. Within the association the members may form groups based on their particular interests.